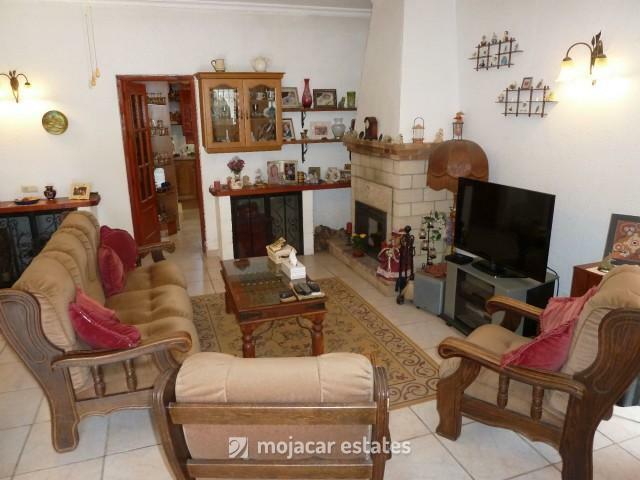 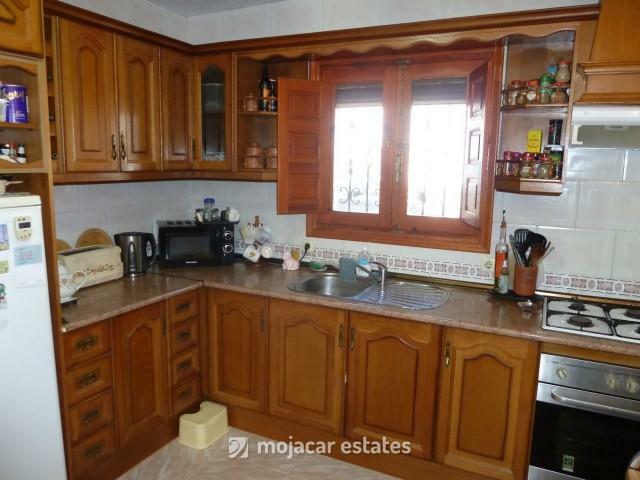 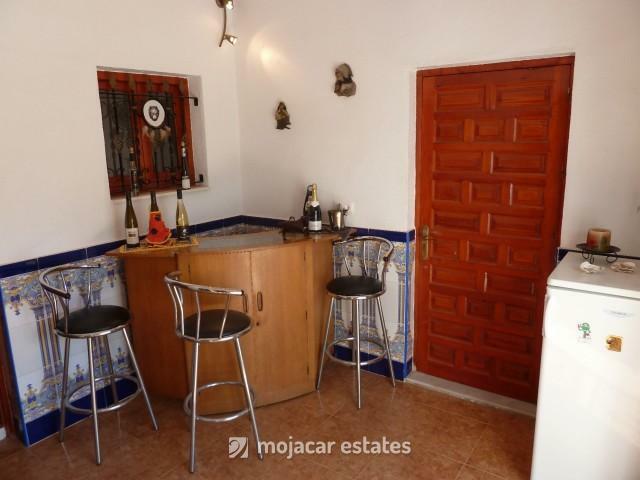 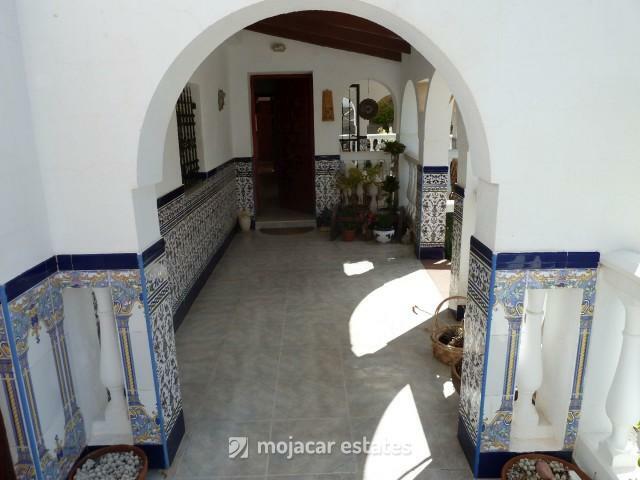 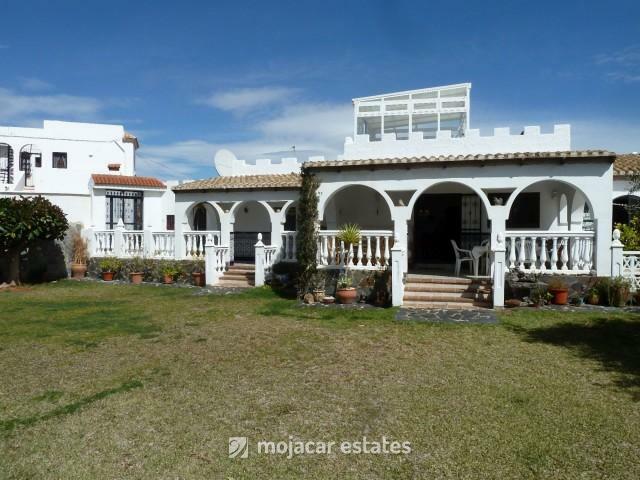 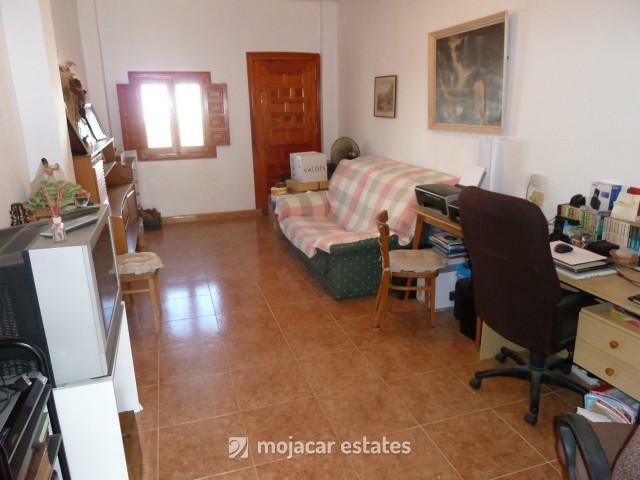 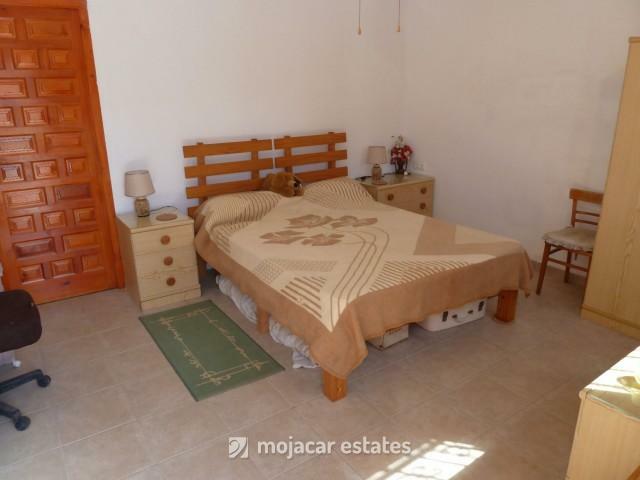 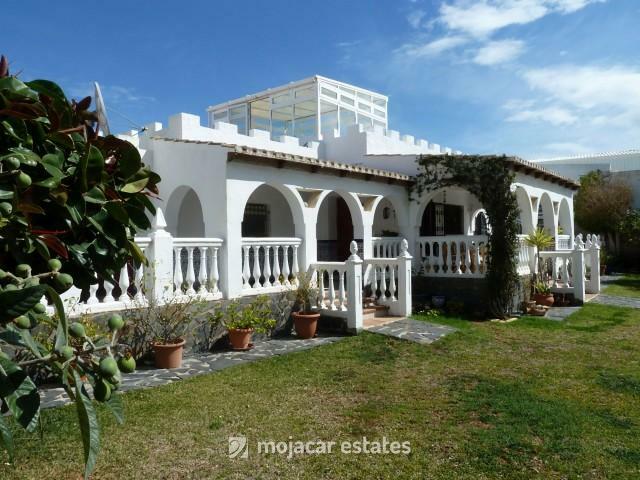 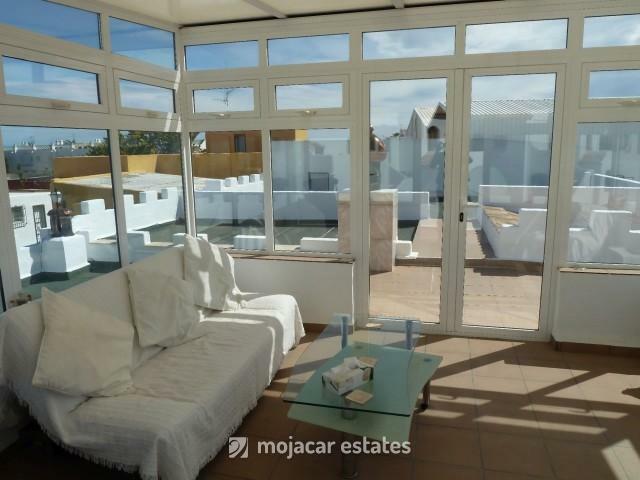 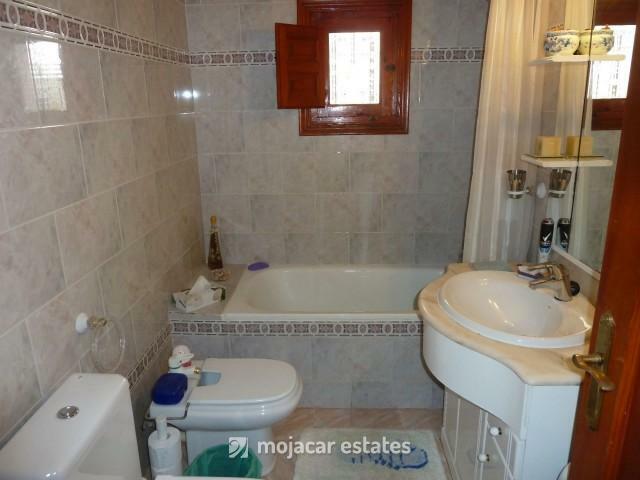 Villa with 4 bedrooms plus office, in walking distance to the sea for sale in Mojacar, Costa Levante, Andalusia. 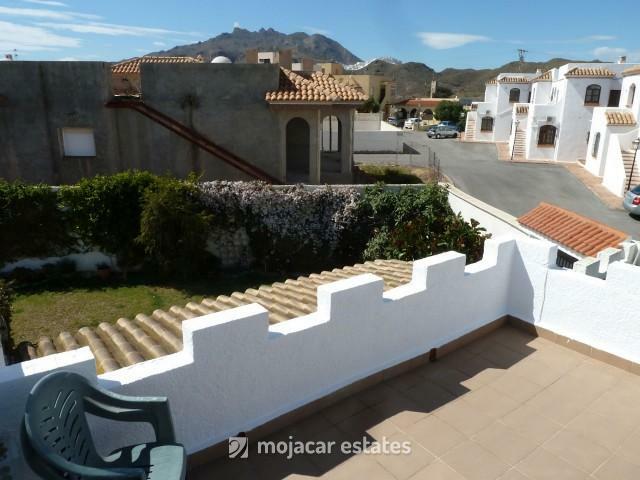 The house is built on one level and has a constructed area measuring 197sqm, the plot is fully walled in and measures 600sqm (room for a pool if required, subject to local planning regulations). 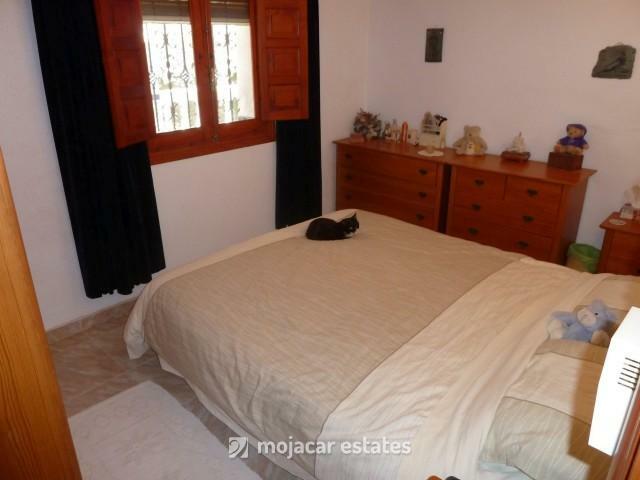 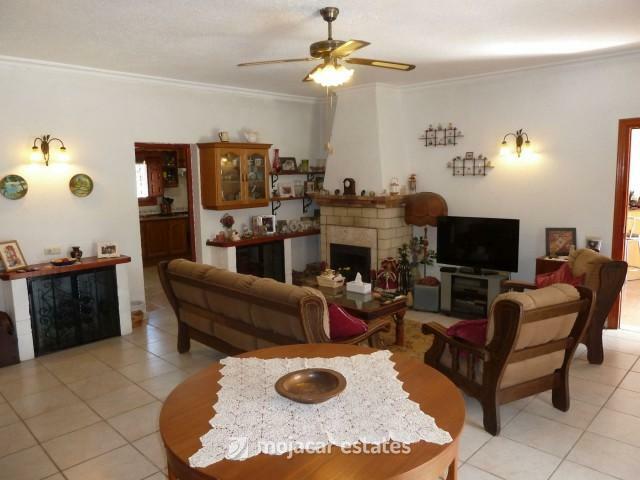 The property offers 4 bedrooms, an office/second lounge/5th bedroom that has a separate entrance from the side street. 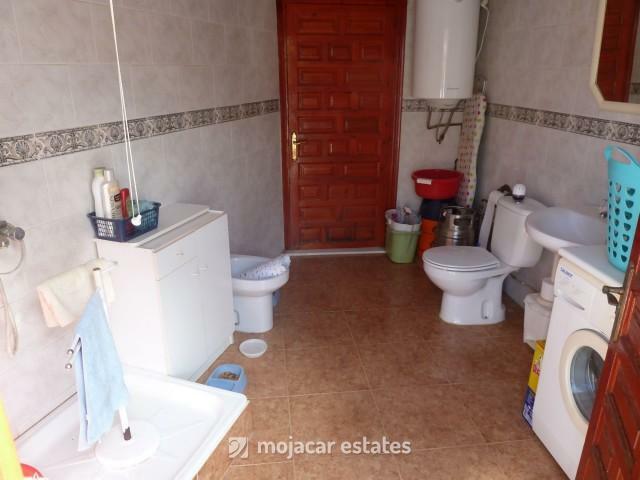 Two family bathrooms (the second one is accessed from outside the house and is a utility room also with an outside shower), large lounge/diner with fire place and log burner, fully fitted spacious kitchen and bar area. 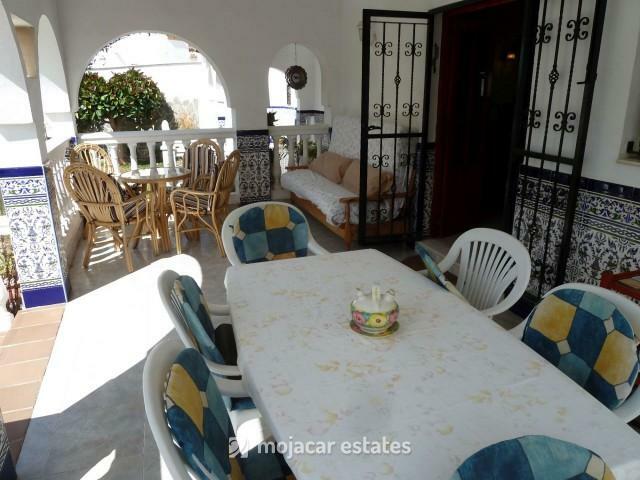 From the bar area and the lounge there is an exit to the covered terrace facing south and the fully landscaped garden with lawn and various fruit trees. 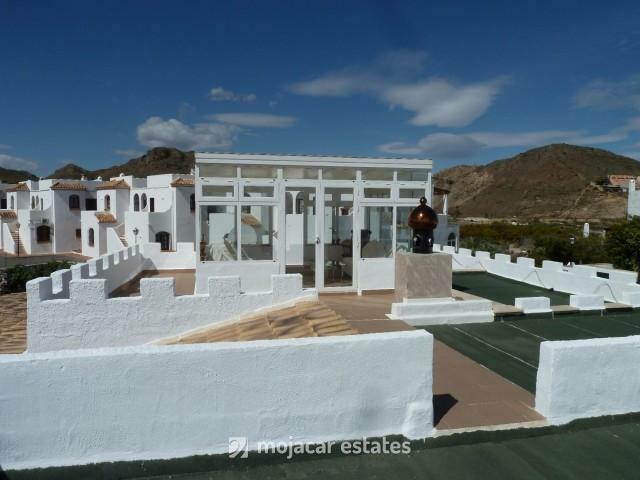 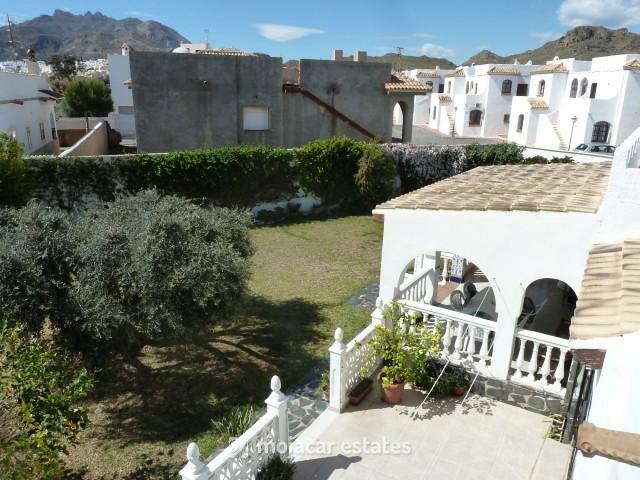 Spiral staircase to the roof terrace with stunning views to the Mojacar mountains and the old village, conservatory/winter garden (18sqm) to enjoy the heat from the winter sun. 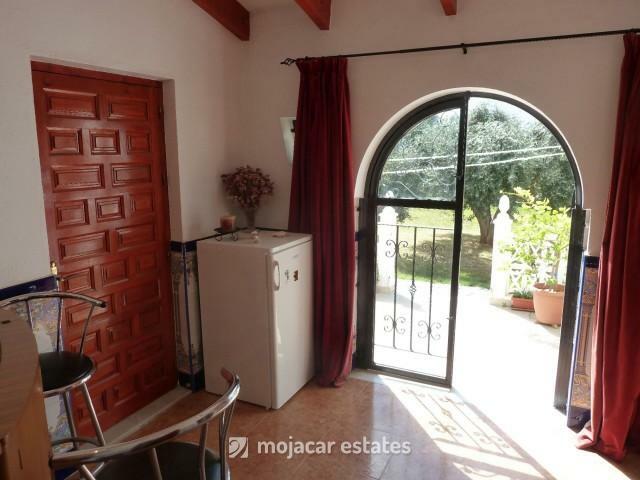 Large garage/storage with back door into the house. 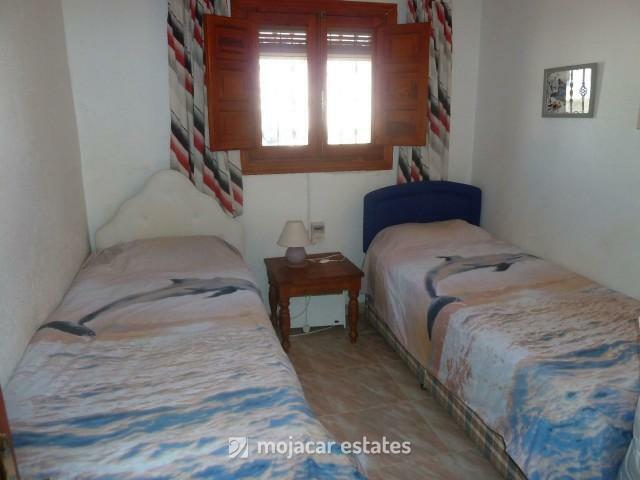 A friendly and easy maintained family home, just a short walk to the beach and the local bus stop.